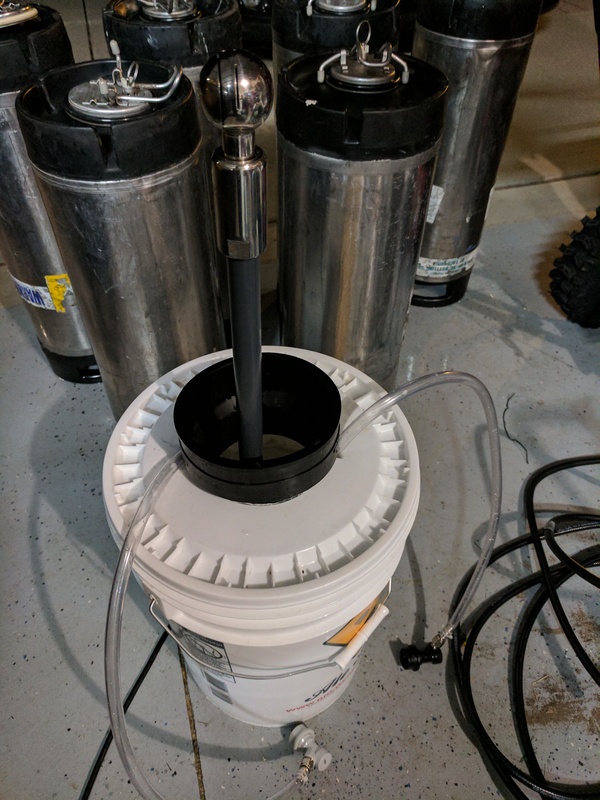 I know this isn’t a new idea, but my latest brewing build was a keg washer. 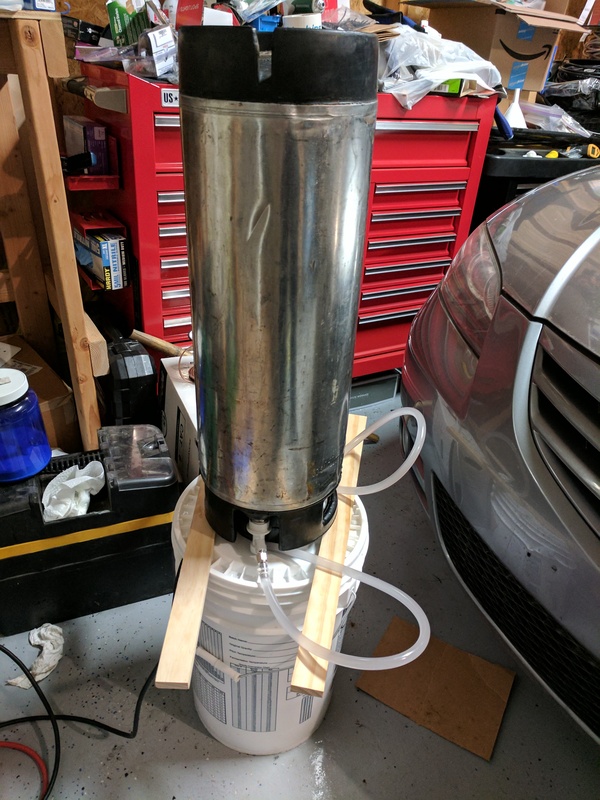 If you have kegs you need to build one too. My old routine was to wait until I needed kegs, then take what I had out to the driveway and line them all up, then go through a few steps. First step was rinse, second step was fill with PBW and water and then shake them around. Next I would pressurise them to allow me to move liquid through the out tube, open up again, drain and rinse, inspect, and repeat as necessary. 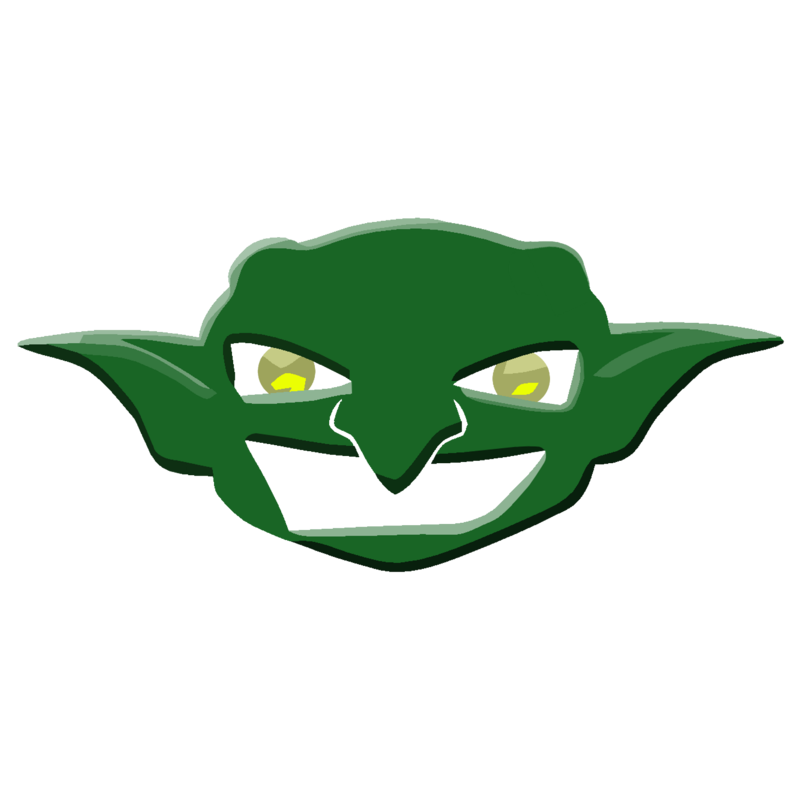 This was a very time consuming process, and not a fun one at all. 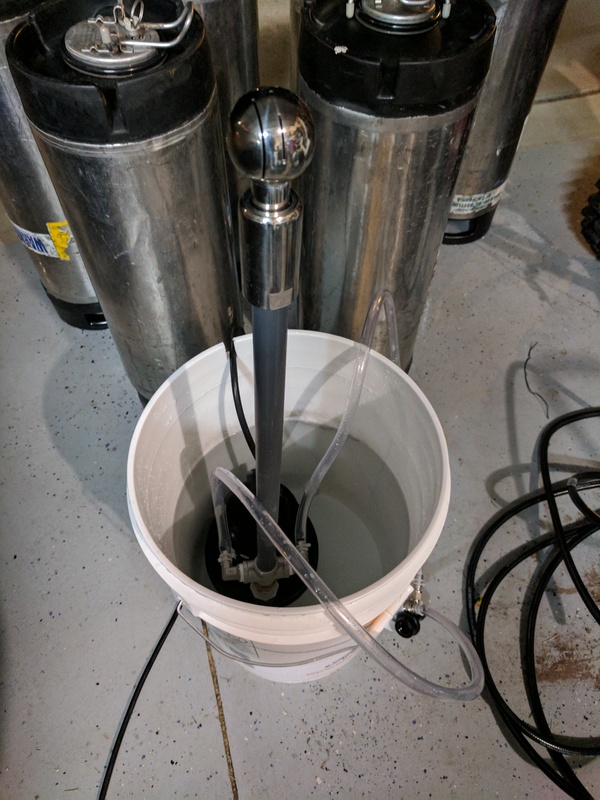 Eventually I’d need to dismantle a keg and give it a good deep clean, which takes even longer. Enter the keg washer. A friend built one last year and has brought it to a few club barrel fills; after the last time I got to use his I decided it was time to build my own. I already had the pump and had been using it to run line cleaner through my taps, so the biggest expense was taken care of (it was $50 new at Harbor Freight years ago). It was just a matter of hitting the home brew store for the rest of the pieces and doing the assembly. 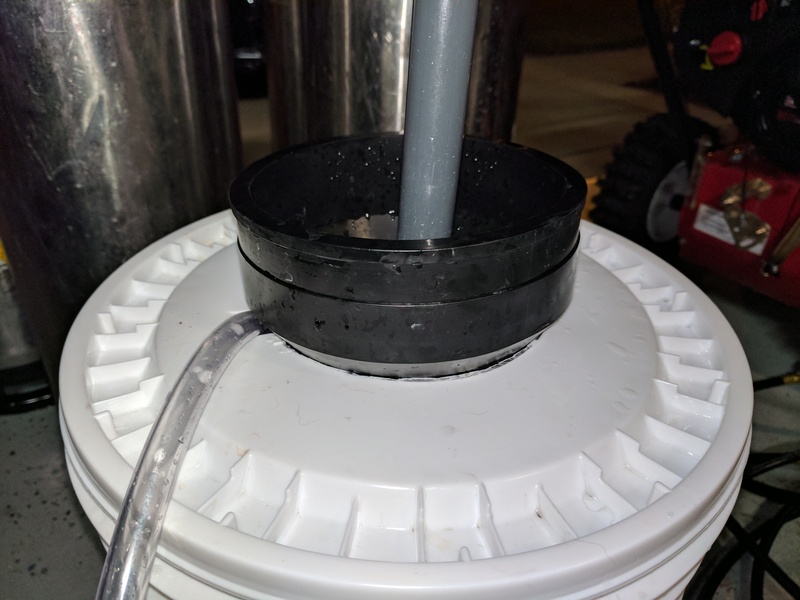 If you also consider that I use sanke kegs to ferment, this keg washer is going to see a lot of use and save me a bunch of time. 4″ to 5″ Flexible PVC Coupling – listed as 4″ steel to 4″ clay, but measurements are 4″ smaller side and 5″ wider side. The fittings listed above worked for the pump I had, but Harbor Freight no longer sells it so what you buy or have may be different and require slight different fittings to get from the pump to the 4-way cross. 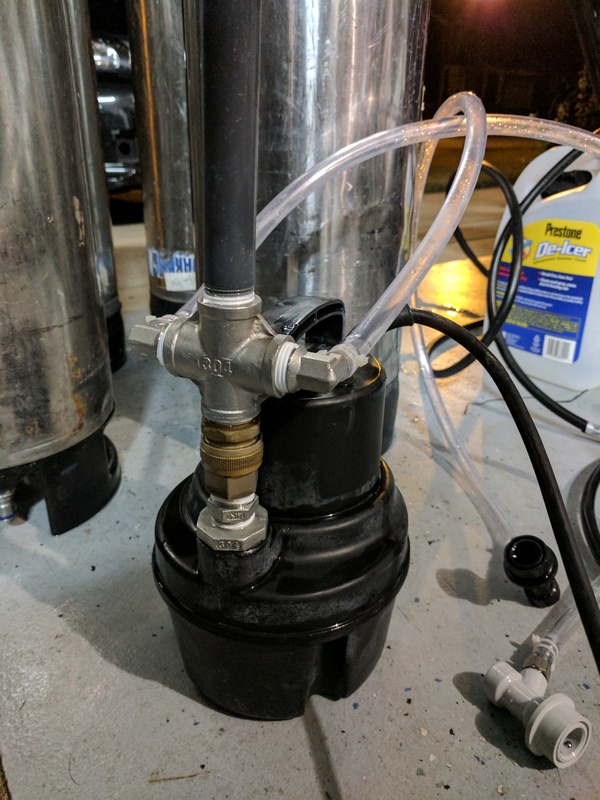 You can run the setup without connecting the quick disconnects, which is how I clean the sanke kegs, though it’s nice to be able to run cleaning solution through the corny keg dip tubes. I notched the side of the bucket to allow the power cord to sit under the lid, and notched the lid next to the hole for the pipe coupling to allow me to route the QD tubing up and out. You have to be somewhat careful to not kink the tubes, but 3 feet of tubing on each side is enough for me to position them easily enough. 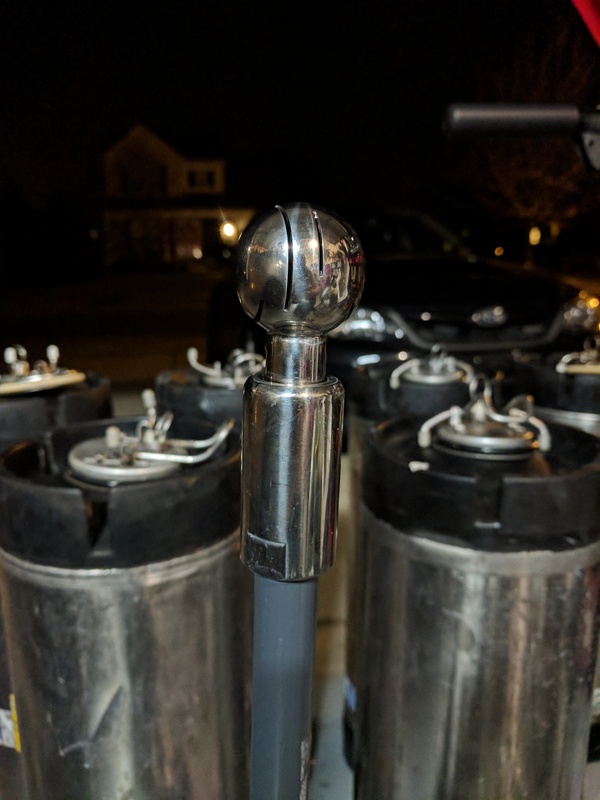 The corny kegs fit snugly onto the pipe coupling, requiring me to squeeze it on a little, which helps keep it in place but I also have a couple of pieces of wood to make sure it won’t fall to one side while I’m not watching it. 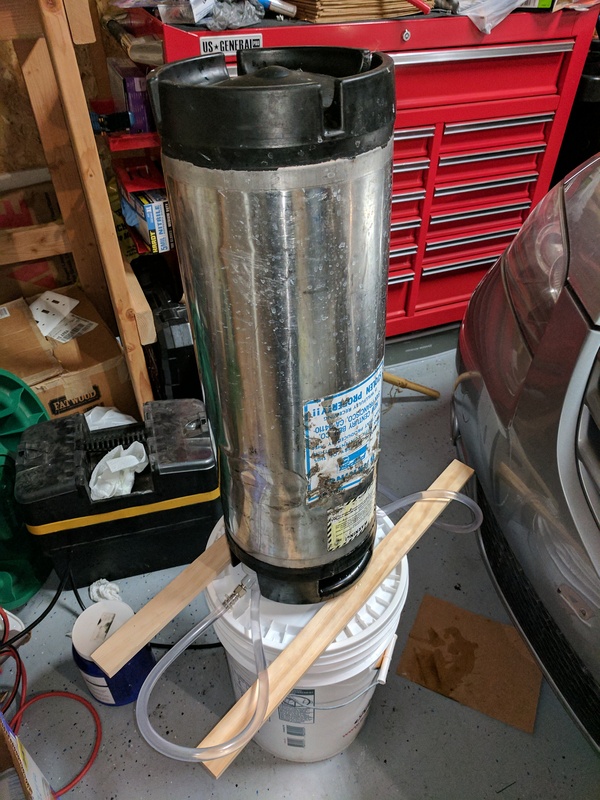 While the rotation CIP ball is not absolutely necessary, and puts the cost of building this up quite a bit (about $30), I think it’s usefulness is worthwhile. Other builds I’ve seen either just let water spray out the riser pipe or use a cap with some holes or slits in it. Neither will get the same spray coverage that the purpose built CIP ball would, but ou could leave it out of the initial build and add it in later. It seems like each keg only needs about 5 minutes on the washer, and for kegs that are fairly clean to begin with you can probably go less. A few I rinsed out before putting on the washer as they had some leftover yeast and I wanted to reuse the water for multiple kegs, but that’s soemthing you can easily make a judgement call on.